Railpictures.ca - Doug Lawson Photo: A scene from the past, some CN, VIA and GO on the east side of Toronto Union Station. Busy spot with lots to see and is all changed now. Fond memory from a trip to the area summer of 1980. | Railpictures.ca – Canadian Railway Photography – photographie ferroviaire Canadienne. 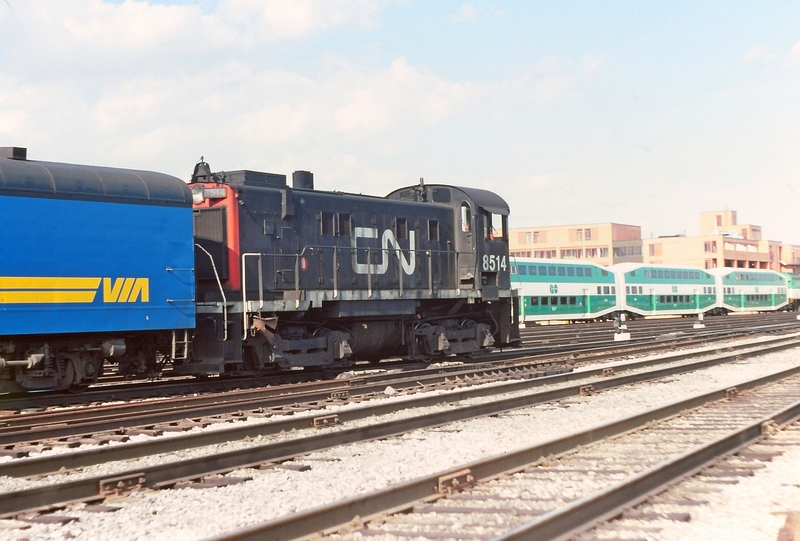 Caption: A scene from the past, some CN, VIA and GO on the east side of Toronto Union Station. Busy spot with lots to see and is all changed now. Fond memory from a trip to the area summer of 1980.